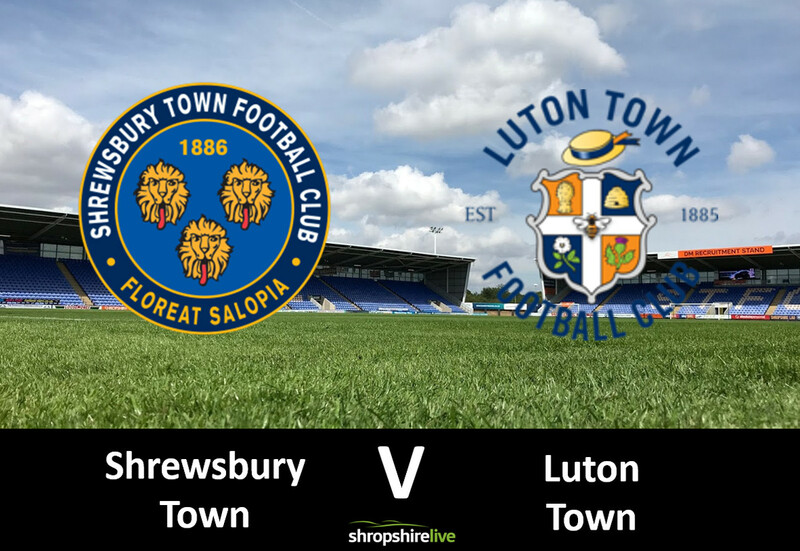 Shrewsbury Town’s flurry of transfer activity didn’t have the desired impact as they slipped to a heavy defeat against Luton. Former Shrewsbury Town striker James Collins struck a brace for the Hatters, either side of Matty Pearson’s goal. Another poor defensive display from Town, will see Sam Ricketts holding an inquest with seven conceded in the last two games. Shrewsbury shuffled their pack significantly for this one, with debuts handed to Tyrese Campbell and Scott Golbourne. Romain Vincelot made his first start for the club, whilst Ro Shaun Williams, Jonathan Mitchell, and Stefan Payne took places on the bench. The home side had the games first chance, but Greg Docherty’s strike was comfortably saved by Luton stopper James Shea. Shrewsbury were much the better side in the opening 20 minutes, but they couldn’t break the deadlock. Luton could only clear as far as Greg Docherty. The Rangers loanee fired a rasping shot over the crossbar. Town fans were rightly excited by the acquisition of Tyrese Campbell from Stoke City; and the youngster almost made an instant impact. An intricate through ball from Ollie Norburn was threaded through to Campbell; but the striker was denied by a timely deflection. Some commentators believed Luton would struggle to adapt without the guidance of Nathan Jones; but the club continue to go from strength to strength under Mick Harford. The visitors were looking to extend their unbeaten run to 18 matches; and whilst they were under the cosh, you always got the impression they would score. And that proved to be correct with half an hour gone. Ex Town man James Collins told local media there would be no room for sentiment against the side he notched 64 goals for, and that proved to be the case. James Justin’s delivery from the right was inviting for Collins, and the Irishman guided beyond Steve Arnold. The goal breathed life into Luton as they controlled possession; with Scott Golbourne’s ambitious effort the only other chance Town carved out in the first half. It took Luton eight minutes after the break to double their lead. Matty Pearson definitely wasn’t trying to score as he whipped a cross into the middle, but it caught Steve Arnold unawares and drifted into the back of the net. Shrewsbury’s response was non-existent, with Sam Ricketts’ frustration clear to see on the touchline. The visitors wrapped up the win with 20 minutes to go. Lualua put the ball on a plate for James Collins and he did the rest to put the game completely beyond Shrewsbury. The defeat has seen Shrewsbury plummet to 23rd place in the league, whilst Luton remain top. Town travel to Wolves to contest the FA Cup replay on Tuesday night, whilst Luton welcome Wycombe in the league next weekend.